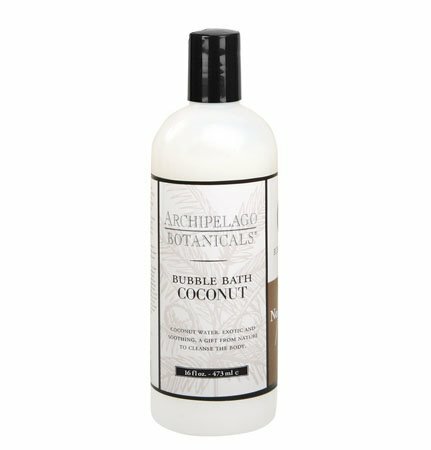 Archipelago Coconut Bubble Bath soothes and restores skin with a blend of coconut oil and natural plant extracts. Relax in a luxurious bubble bath scented with coconut, lemon verbena, and lime and let your senses drift away to a tropical island. Paraben and sulfate free. Made in USA. 16 fl oz., 473ml.